Following a 4-year alternation system, PotatoEurope is organized in one of four core potato producing countries. After France, the Netherlands and Germany over the past three years, Belgium is once again hosting this biggest open air potato event in 2019. 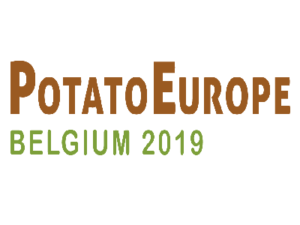 The entire potato supply chain will be represented 4 and 5 September 2019 in Kain, near Tournai. Professionals from the sector will be able to meet with experts to discuss all their questions and problems regarding production, machinery, processing, etc. An excellent opportunity for any company that wants to promote its expertise, competitiveness or service provision on a broad but professional scale. An unmissable event for any professional working in the potato supply chain!